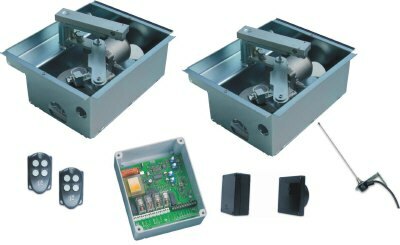 The electromechanical motors in this kit are mounted underground thus resulting in a very attractive installation with very little of the "mechanics" visible from either inside or outside the gates. Because this is an underground system the work required to fit is obviously increased a little. The Oil Filled units are designed for intensive use and are not required for normal domestic situations.